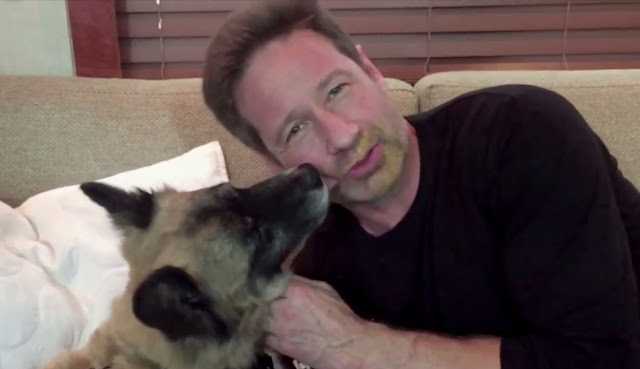 David Duchovny is getting sticky and slobbery for a sweet cause. 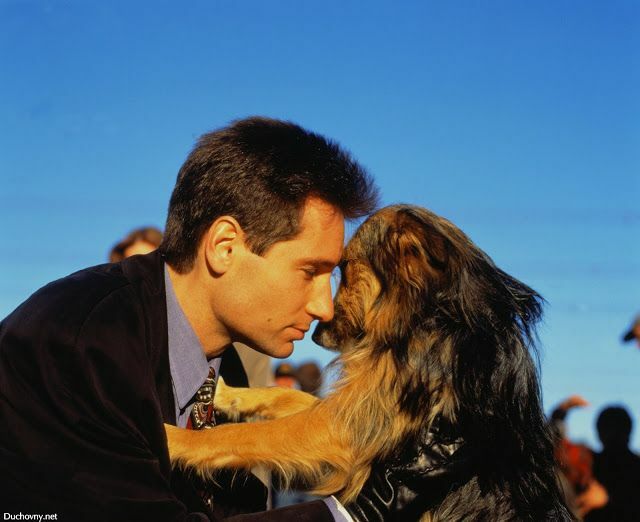 The X-Files actor recently launched his #LickMyFace campaign, a charity challenge in which dog owners cover their faces in peanut butter and let their pups slurp the tasty treat off, helping to the campaign for each lick it takes to remove the PB. 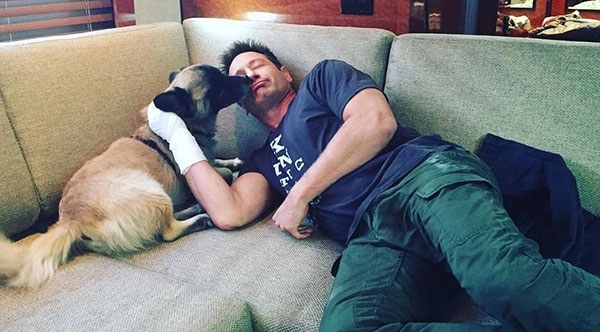 Duchovny, who sits on the board for Target Zero, kicked off the #LickMyFace fun with his own video featuring his rescue dog Brick. The pup squeezed a lot pennies out of the actor thanks to his rampant peanut butter appetite. “The problem is I like peanut butter as much as my dog so it was a real battle,” Brick's dad said. 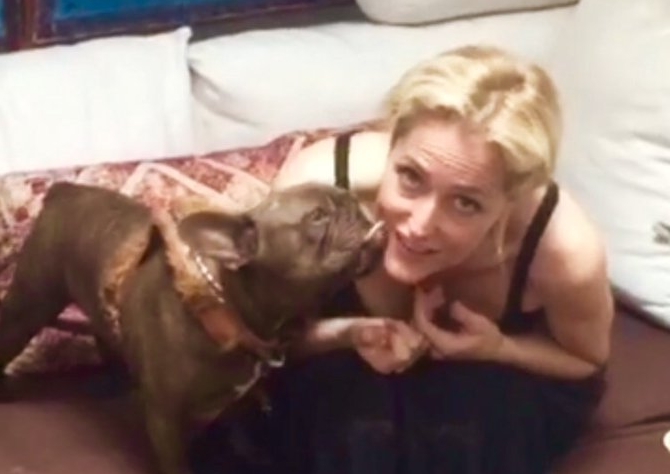 At the end of the clip, the Aquarius star challenges ex-wife Tea Leoni, X-Files partner Gillian Anderson and all his social media followers to take part in the #LickMyFace campaign, and he encourages everyone else to do the same. To get involved all you have to do is make a video with your peanut butter-loving pup, post it to social media. If you have a peanut butter allergy, or don't have a hungry dog handy, you can still help Target Zero. Responses to "The X-Files Actor Starts "Lick My Face" Campaign to Save Shelter Animals"